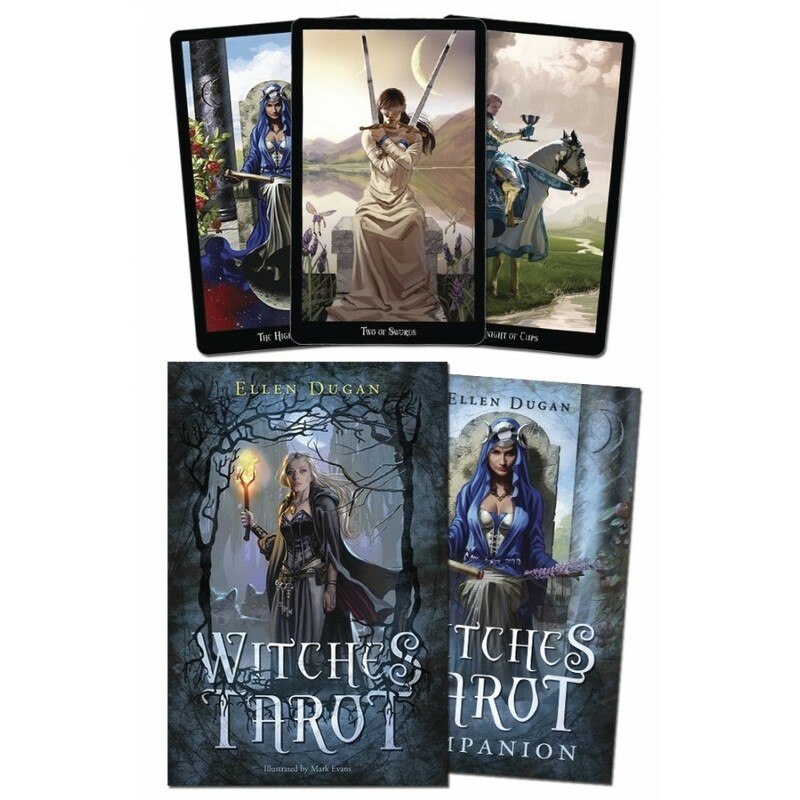 Featuring the vibrant artwork of award-winning artist Mark Evans, Witches Tarot is the perfect combination of Tarot and the Craft. 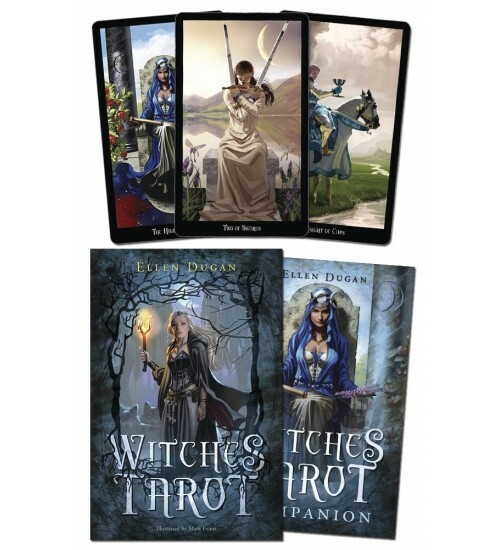 Based on the traditional Rider-Waite-Smith deck and filled with images that speak to today's magickal practitioner, witchcraft takes center stage in this stunning deck designed by highly respected Witch and Tarot reader Ellen Dugan. Item Number: LL- 9780738728001 | Approximate Size (Inches): 6.00 wide x 2.00 deep x 8.00 high | Approximate Shipping Weight: 2.00 lbs.